Secret places for you and your special one, or your family, or yourself. The villa is also an on-going event space and security is tight. There is a CCTV at the entrance to detect any dubious activities and if there are more than 15 guests, a different rate will be charged. It is unclear if the pick-up service is for event groups only. Contact Woods to find out. No, we can’t believe our eyes either. Featuring an open plan design with multiple zones, living spaces are split into two: upstairs and the poolside villas. All rooms house their own private bathrooms. The L-shaped swimming pool outside has a 15 metre-long lap-lane that runs through a glass-bottom gazebo sitting above the pool. The kitchen is off-limits but there is a chef to cater to your needs and a host is available should you require it (say no if you’d like to be left alone). All guests are required to register by providing their full names, a copy of their passport and contact details. No unauthorised guests are allowed, so no throwing private parties without notice. Smoking is not allowed… also no shoes on the wooden floors; they scratch easily. 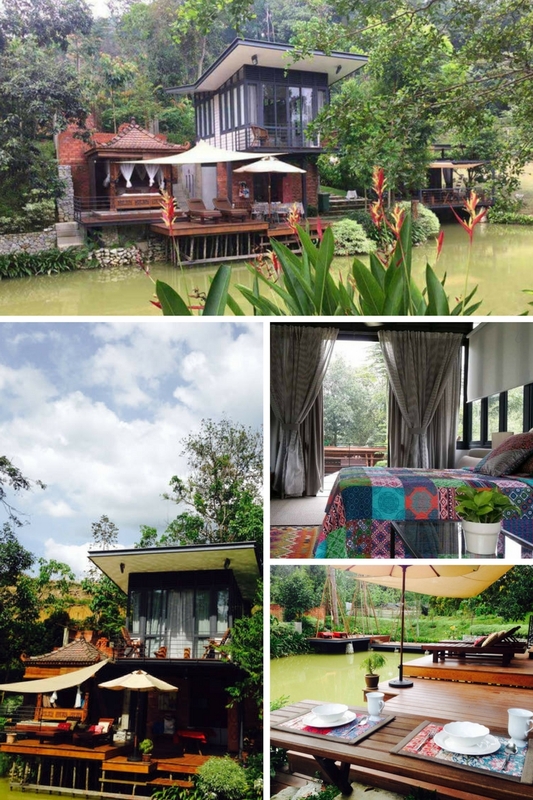 The Carpe Diem Orchard Home in Serendah is actually a retreat on its own right that lists the entire place on Airbnb. 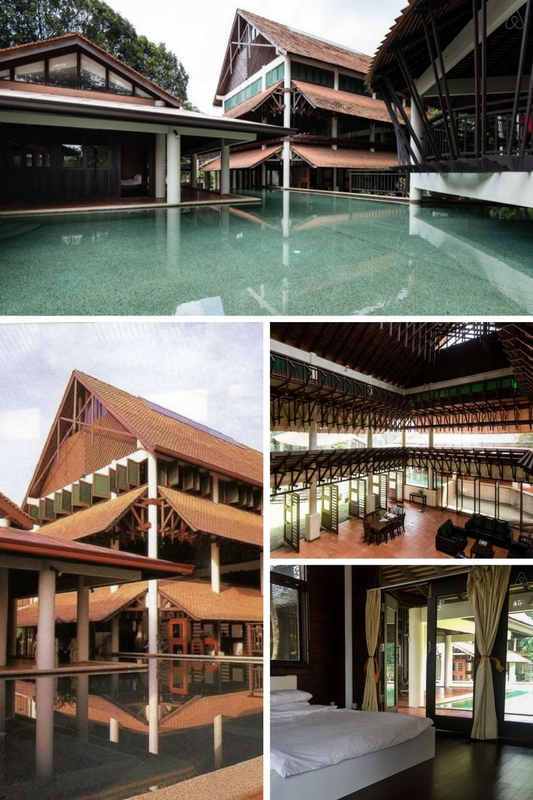 It consists of six kinds of chalets with different amenities, and the kitchen and common area is in another building. You may have to speak to the owners to find out rates for individual chalets and clarify the cost beforehand. Be warned: there is no air conditioning and one of the bedrooms is completely outdoors. There’s mosquito netting though, which is nice. 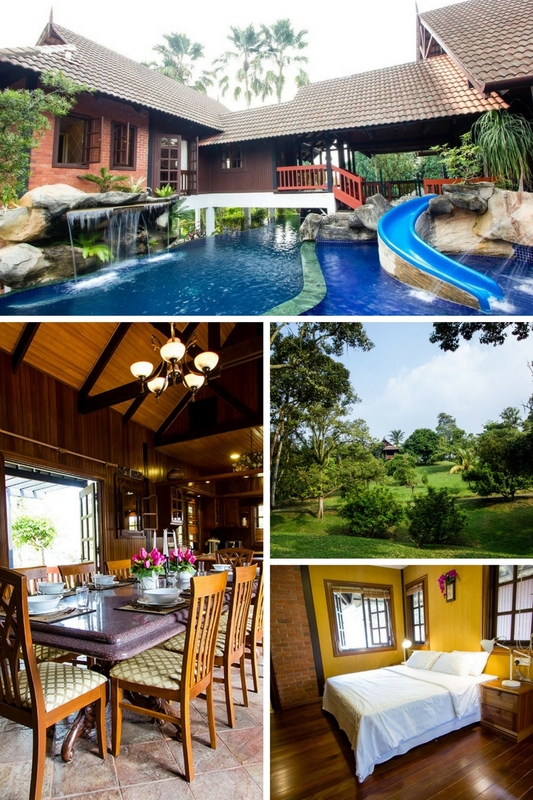 The land is located in one of Selangor’s forest reserves and is fairly close to Genting Highland. You can BBQ, fish, go jungle trekking, get a local guide to bring you into the forest reserve and if you require, private transportation can be arranged at a price. Lastly, bring insect repellent. 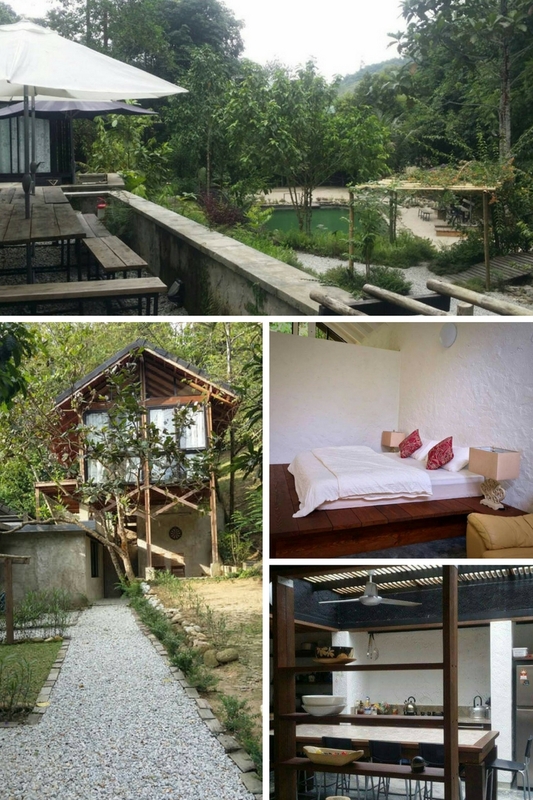 The elevated villa ensconced in the hills of Ulu Langat is the perfect blend of nature and creature comforts. Rent a bike, play ping pong, attempt fishing, fire up the pit, pretend to enjoy chess by the veranda over some tea and scones; the itinerary is open. Attractions nearby also include a hot spring, forest reserve, waterfalls (Gabai and Perdik) and Sungai Congkak. 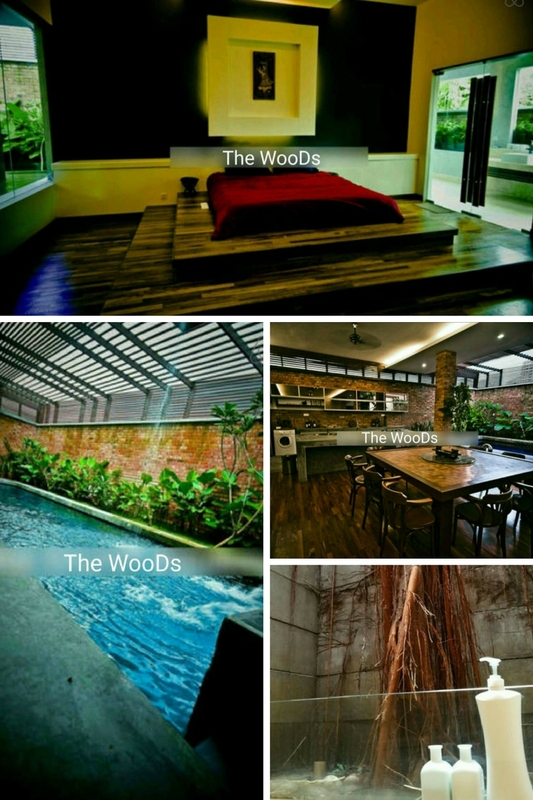 The property is located within a gated community in Rawang and when you reach the guardhouse, you need to mention Templer Park Rainforest Retreat and they’ll let you right in. The property sits atop a hill and the owner lives next door should you need anything. 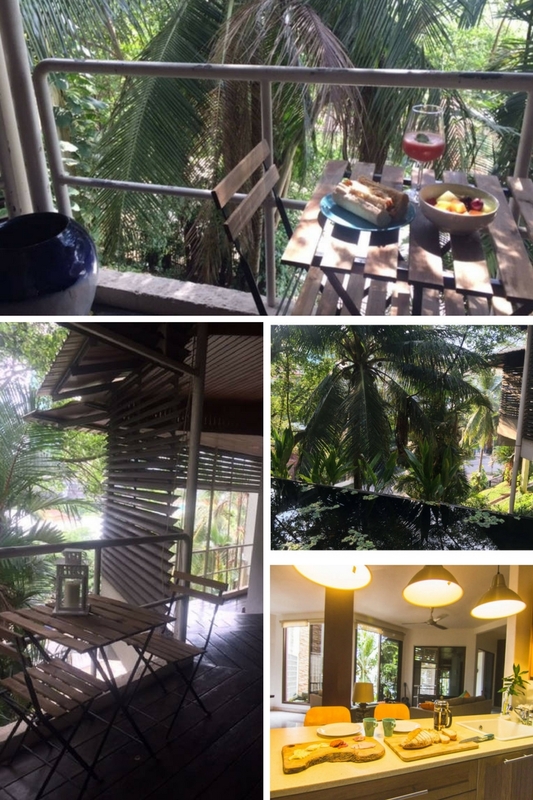 Located within the valley of Bukit Takun, it is a place of tranquillity with various lookout points on the property supplemented by little nooks for you to burrow in with a good book and light conversation. There is a fish pond on the grounds and whatever you catch must be eaten on the grounds. 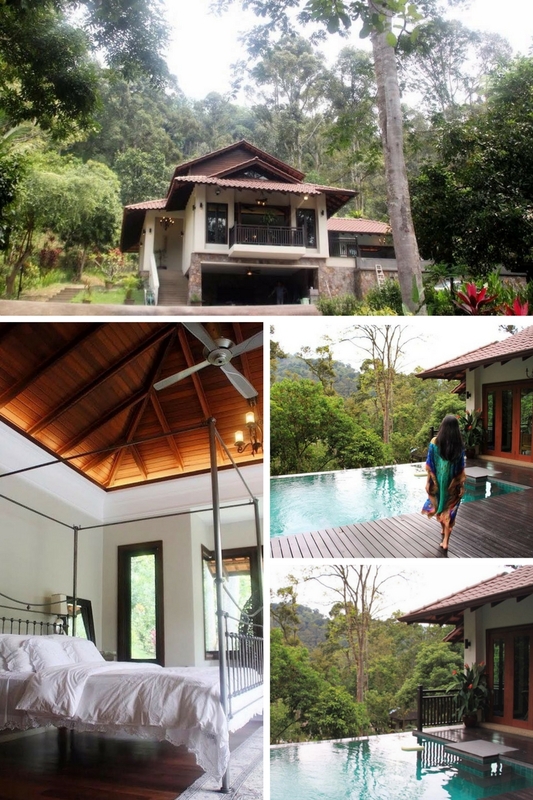 Nestled as part of 12 acres of farm land in Jalan Sungai Lui, Hulu Langat, the property houses the owner's family, the bungalow for guests and another cottage for guests. There are plenty to do for nature lovers (enquire beforehand): horse riding, pond and night time fishing by the river, picking seasonal fruits, climbing Mount Nuang, and playing with a goat or two. The master bedroom has two double beds and is attached to a loft with a double bed. There’s another room with another two single beds. You could also just enjoy that huge pool – all day. 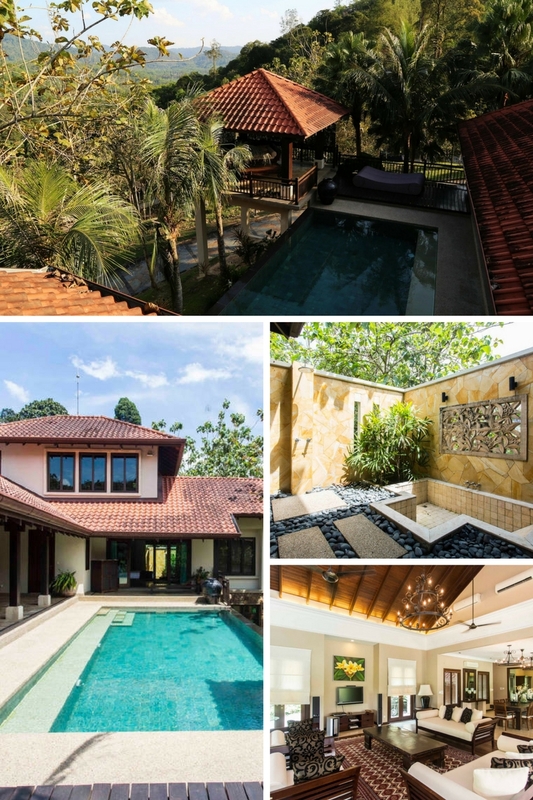 If you’ve ever wondered how the 1% lived their lives in Bangsar, rent out this Balinese inspired villa on top of a hill surrounded by trees to find out. 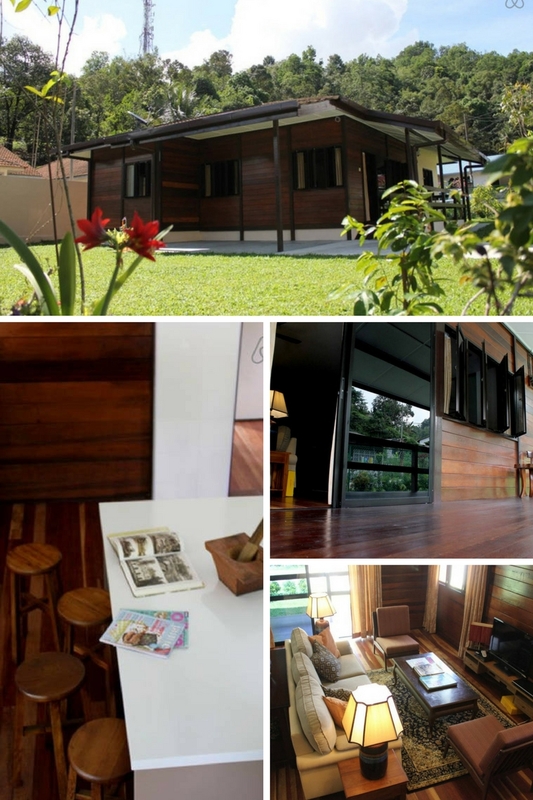 It offers a romantic veranda with a view of KL and oodles of space for you to get some quiet time. The living room looks out onto an infinity pond, trees and the sloping hill below it. Meals and transportation can be provided upon request and the master bedroom has a bathroom ensuite while the other two rooms share one bathroom. All you need to survive is available on-site, though we’d recommend you bring with you some entertainment. Board games or console games can be fun. 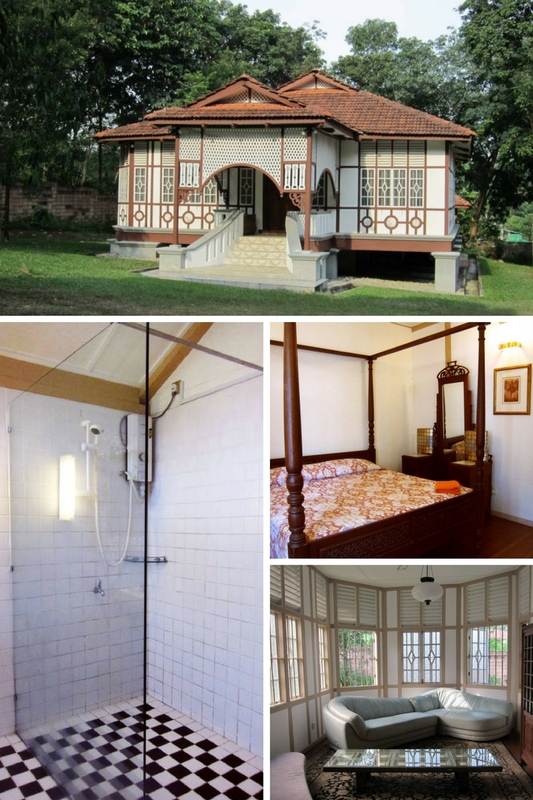 Tastefully built by architect Hijas Kasturi, the lovingly restored Penang-style traditional house was originally located in Jalan Perak, Georgetown. Guests are welcome to a pool on the grounds, herb garden, underground gallery, and traditional houses are also available for viewing upon request. Guests are invited to self-check-in and all registered guests will receive a digital copy of the full guide to the house. Be mindful of the three dogs that call the area home – among other assorted wildlife – and also note that an additional RM100 deposit is required (on top of the Airbnb deposit) when you check-in. 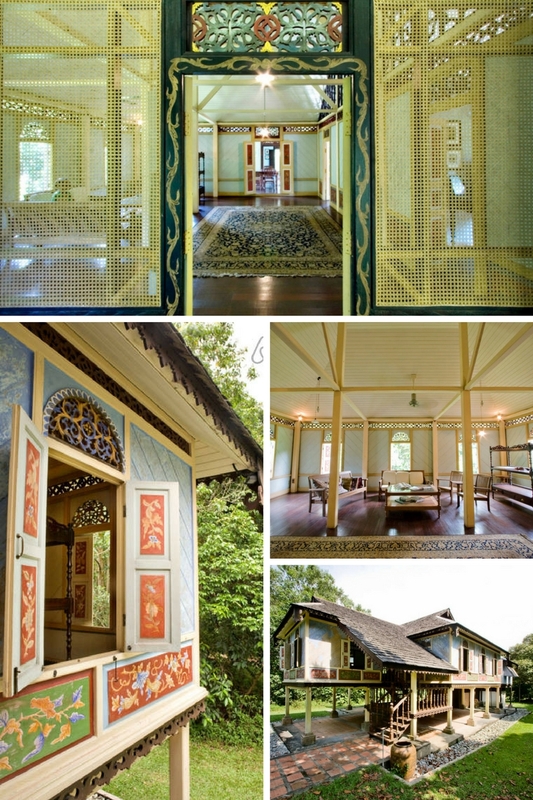 The Uda Manap House is located on the same grounds as the Penang House mentioned earlier. This house was relocated from Perak and dates as far back as 1901. Same rules apply: guests are welcome to a pool on the grounds, herb garden, underground gallery, and traditional houses are also available for viewing upon request. Guests are invited to self-check-in and all registered guests will receive a digital copy of the full guide to the house. 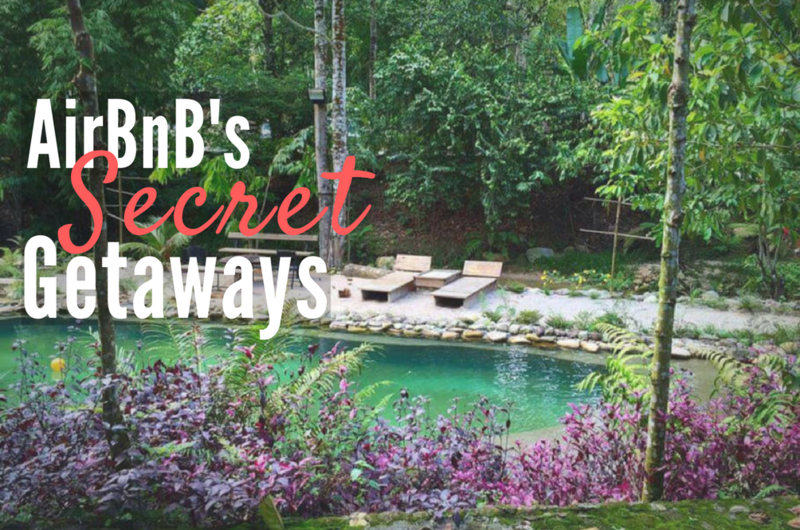 Be mindful of the three dogs that call the area home – among other assorted wildlife – and also note that an additional RM100 deposit is required (on top of the Airbnb deposit) when you check-in. When you have a library so tall that you need to use a ladder in your own home, you know you’ve made it in life. This luxurious villa in Kota Damansara is situated in a gated community close to Sunway Giza and The Curve. The main hall can accommodate 50 people so we’ll let you think about what you can do with all this space. Infinity pools, open plans, lots of wood – these are the pillars that make good tropical resorts; and it’s all here. 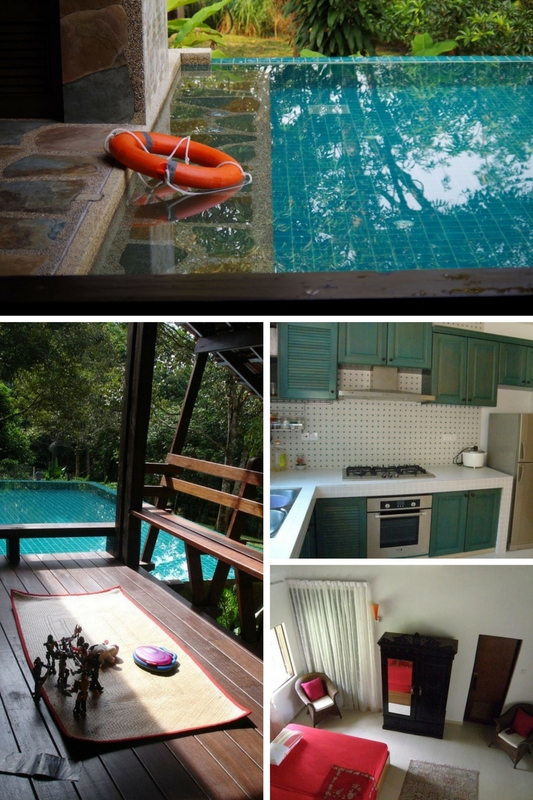 The Balik Kampung Villa is situated near Gunung Nuang, the Gabai waterfall and Congkak river if you’re feeling adventurous, otherwise, you’re advised to keep it down and just enjoy nature while here. Day time visitors are allowed with a maximum of five people only. Also, there’s apparently some light breakfast provided though we’d recommend you check with them first. 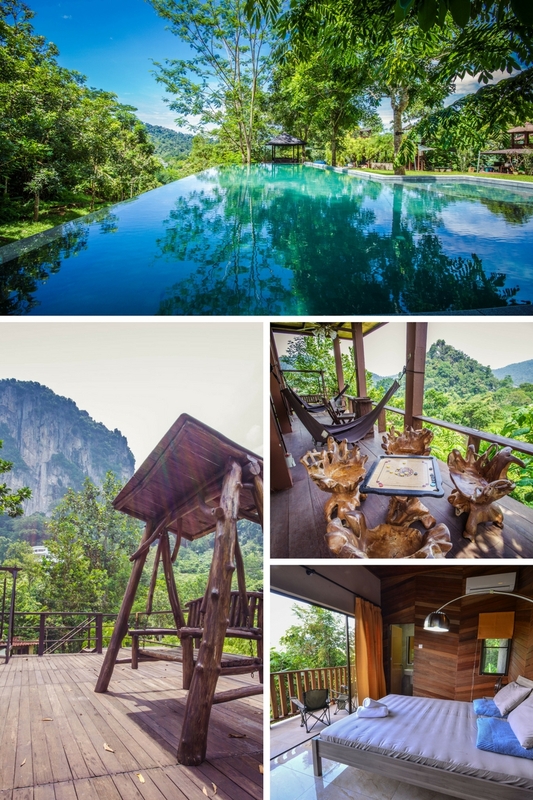 ‘Erected’ with couples in mind, this private villa offers a comfortable veranda outside the bedroom overlooking nature. It’s equipped with a plunge pool meant for two. If you’re travelling with one child, there’s a single room as well, though we’d advise to keep the young one with your folks and enjoy your time together. 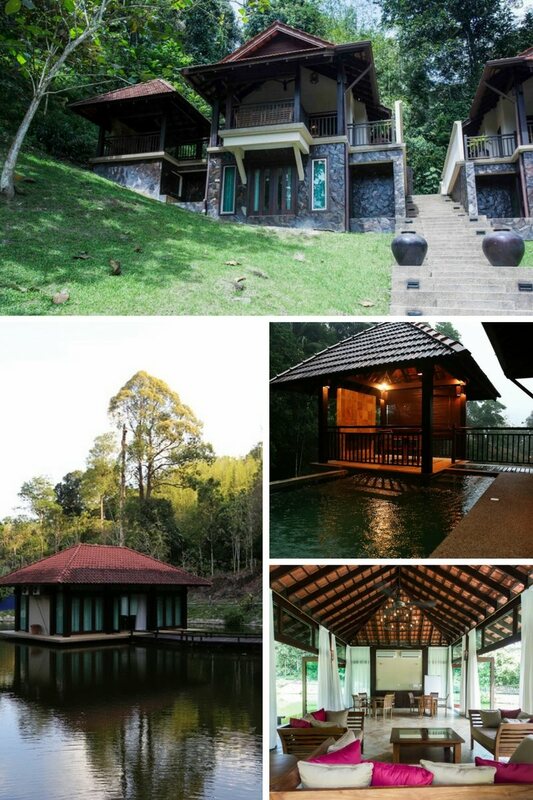 RumahKebun as they call it is meant to be a complete escape from your regular concrete encased lives. There’s neither Wi-Fi nor television. Water for the pool is fed through the Semungkis River and a water spring found on the grounds provides water for the whole place – so don’t go crazy in the shower. Only halal foods allowed on the premise. Finally, get back to nature and have fun out there. All photographs are credited to airbnb.com except for: #3 credit: carpediem.my, #5 credit: Facebook @gerimissenjavilla, #7 credit: Facebook @glamgoat, #13 credit: Facebbok @bkvilla.